Let's start at the beginning. Affordable access to safe and properly prescribed prescription medicines is so critical to patient health that the World Health Organization has declared governments are obligated to ensure such access for all of their citizens. Unfortunately, Canada is the only developed country with a universal healthcare system that does not include universal coverage of prescription drugs. The negative consequences for our health and economic wellbeing are significant. Without universal coverage of prescription drugs, one in 10 Canadians cannot afford to fill the prescriptions their doctors prescribe. When patients don't fill prescriptions they need, it hurts them and our economy because they end up needing more healthcare in the long run. But pharmacare is about more than just drug coverage. Insurance companies can do that. What national pharmacare must do is to ensure sustainable, equitable and affordable access to medicines that are safe and appropriately prescribed. In the Canadian context, this is a public responsibility. And, to be clear in this election year, it will require federal engagement -- and not just in the form of cutting cheques for provincial pharmacare programs, but real leadership. 1. Commit to a clear and comprehensive pharmacare plan. Not a patchwork of private and public insurance and not income-based or "catastrophic" drug coverage. Research has consistently shown those systems don't work well and are unnecessarily costly. Canada needs a universal, public, and comprehensive pharmacare system that will meaningfully integrate medicines into medicare in ways that lead to safer, more affordable use of medicines for all Canadians. We've known this since the 1960s. Time for a government to commit to make it their legacy for Canada. 2. Get on with the task of improving prescribing in Canada. About one in three seniors receives prescriptions known to pose health risks for older adults. The preventable problems of overuse, underuse and misuse of medicines cause one in five hospitalizations in Canada. Cutting these problems in half would save Canadians billions. The federal government should fund the development and implementation of a national strategy to improve prescribing. Done in partnership with patients, professionals, and the provinces, this national strategy should aim to establish a culture of safety and appropriateness, to put an end to questionable drug marketing practices, and to put credible and usable information in the hands of patients, prescribers and policy makers. 3. Quit applying antiquated drug price regulations. We live in a world where most comparable health systems have abandoned the blunt instrument of price regulation in favour of more sophisticated tools of price and supply contract negotiation. 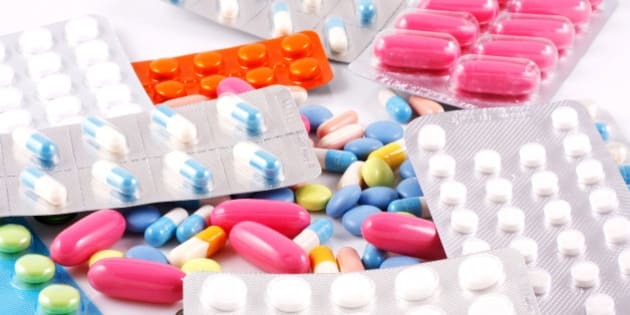 When done well, negotiations with suppliers lead to more competitive prices and more assurances of a secure supply of the medicines the country needs. The federal government should take the $11-million spent enforcing antiquated price regulations and invest it in joint capacity for negotiating, monitoring and enforcing contracts on behalf of public drug plans and hospitals from coast to coast. This would not only level the playing field within Canada, it would also make Canada much stronger on the world market. 4. Sustainability of any system to encourage access to medicines depends to a great extent on timely and vigorous generic competition. Yet Canadian regulations create unnecessary barriers to generic drugs entering our market. The federal government should create a clearer, faster and fairer path to generic entry following required periods of market exclusivity for patented drugs. This would save Canadians millions -- and wouldn't cost the federal government a dime. If done right, a pharmacare plan would effectively integrate medicines into Canadian medicare and ensure that the Canadian principles of universal access to high quality, affordable healthcare do not end when doctors give patients prescriptions to fill. It is within reach with the right plan -- and leadership. On February 27th, he is presenting a webinar with the Institute for Research on Public Policy on the question, "Is Canada ready for a national pharmacare program?"